The April meeting of DKG toured Rio Grande Elementary. RIO GRANDE — The Beta Alpha Chapter of Delta Kappa Gamma (DKG) met at Rio Grande Elementary on April 13. Fifteen members were present. President Lynn Arnott opened the meeting. Sandy Perry offered the grace prior to a delicious meal. April committee members Gloria Kyger, Barb Burnett, Nancy Hood, Beth Hollanbaugh, and Sandy Perry were thanked by President Arnott. The nominating committee provided a slate of officers for the 2018-2020 term. The officers were approved by the membership as follows: President Cathy Greenleaf; 1st Vice President Donna DeWitt; 2nd Vice President Josie Bapst; Recording Secretary Deborah Kerwood; Corresponding Secretary Vickie Powell; Treasurer Helenlu Morgan; Historian Doris Lanham; Parliamentarian Dorothy Rufff; and Immediate Past President Lynn Arnott. New Committee Chairs are: Professional Affairs Karen Wright; State Scholarship LouAnn Shawver; Nominations Lynn Arnott; and A. Margaret Boyd and others, Lynn Arnott. Two new members were approved for initiation at the May meeting: Debbie North and Marilyn Wills. Hostess chairs for this meeting are Jane Ann Slagle and Lois Carter. The May meeting will be at Grace United Methodist Church at 6:30 p.m.
Helenlu Morgan gave the treasurer’s report and listed current membership as 63 full-time; 12 reserve; and, two honorary for a total of 77 members. A donation was collected for Rio Grande Elementary at the meeting. The meeting was adjourned with the singing of the DKG song. The June field trip and planning meeting will be at Ravenwood Castle in McArthur, OH on Thursday, June 14. Menu choices: beer/cheddar soup, chili, or tomato basil served with roll ($6-7); burger, meatball sandwich, or grilled cheese served with chips and pickle ($5-8); vanilla ice cream, floats (orange cream or root beer), or chocolate chip cookie A la mode ($3.50-5.75) and fountain drinks ($1.75). Please call Program Chair, Donna DeWitt with reservations and menu selections by June 7th at 853-0974 or 388-8327. A carpool will leave Vinton Elementary’s back parking lot at 10:00 on the 14th. 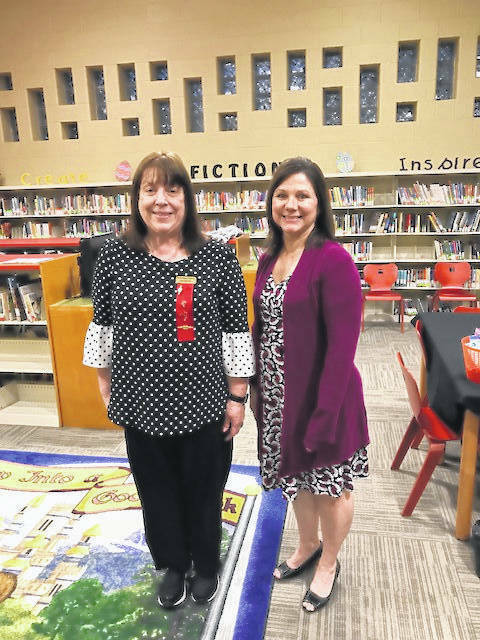 https://www.mydailytribune.com/wp-content/uploads/sites/42/2018/05/web1_DKG.jpgThe April meeting of DKG toured Rio Grande Elementary.